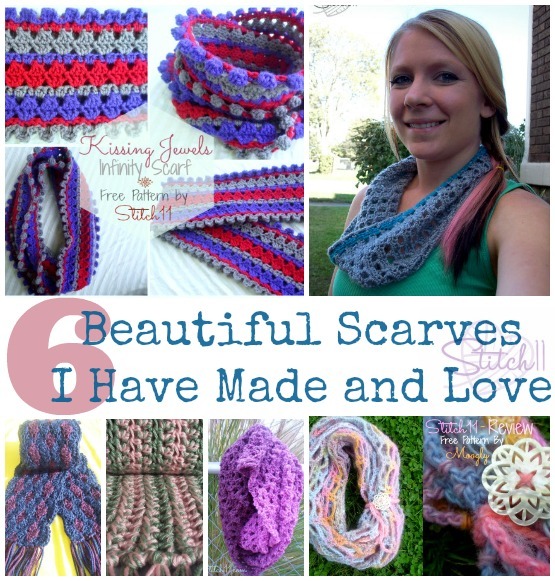 6 Scarves I Have Made and Loved! The Pavement Infinity Scarf was a favorite of mine last Winter. I gifted so many, that I actually lost count! It works up easy and what I like to call “mindless”. 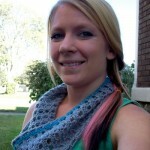 My favorite thing about this scarf is that you can use any yarn and hook you wish- making it great for busting your stash! 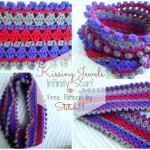 The Beautiful and Simple Scarf is exactly that, beautiful and simple. 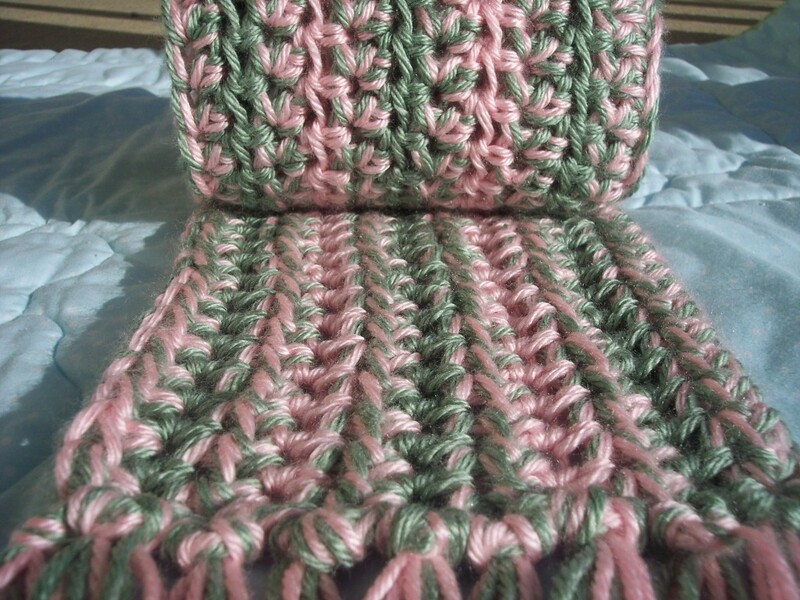 Using just the Half Double Crochet you make this pretty texture by changing your yarn combos. 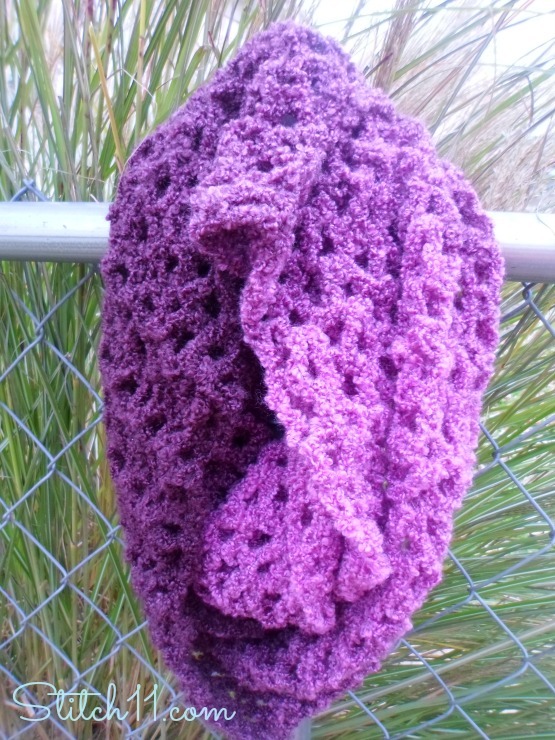 The newest to my collection is the Good Morning Cowl. The stitches are fun, yet easy! It works up quick and is so soft and comfy! Great for cold mornings. 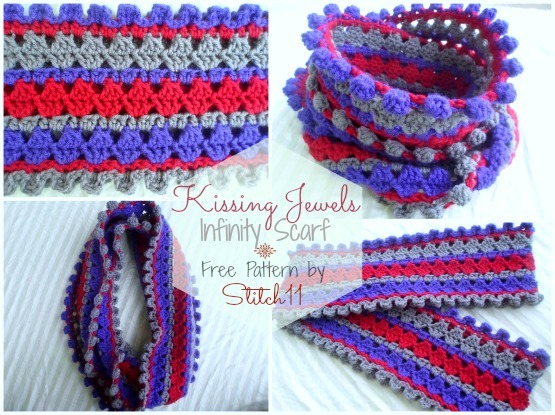 The Kissing Jewels Infinity/Cowl was so much fun for me. 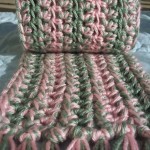 I am anxious to make more but using different yarns and colors to get a completely different affect. 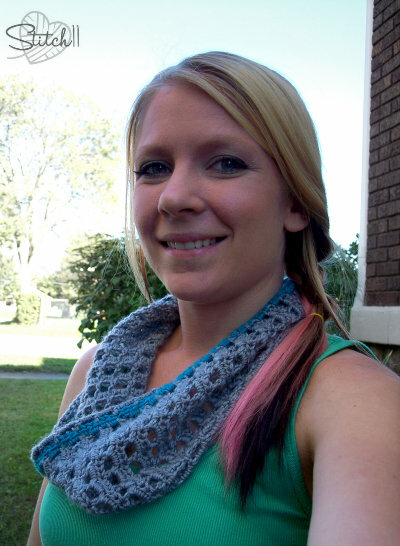 Most of you have already heard of, seen, or made the Artfully Simple Infinity Scarf. 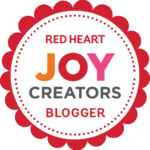 It went CRAZY around the crochet world! And if you have made it, you know exactly why! 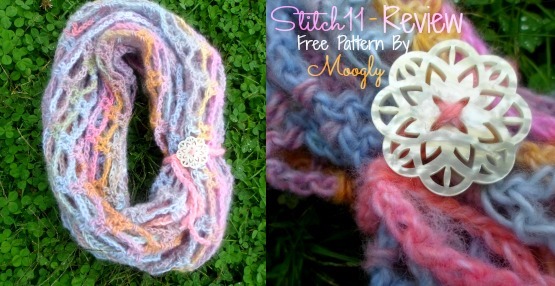 It is such a beautiful and simple work of yarn art that is also practical and comfy to use! 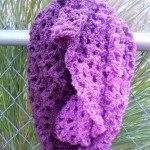 The Soft and Squishy Scarf really is soft and squishy! 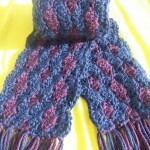 It’s a great shell design to add that splash of color and texture during the colder seasons. Beautiful collection! 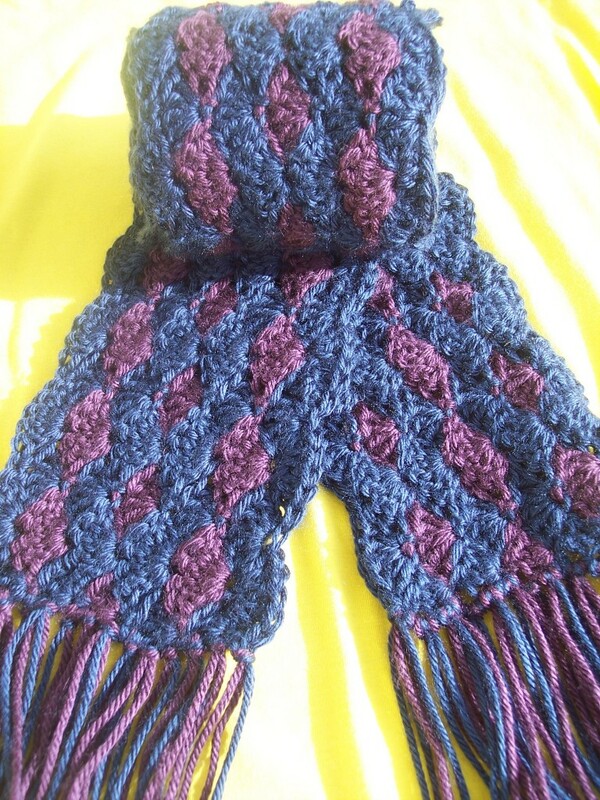 I love making scarves.